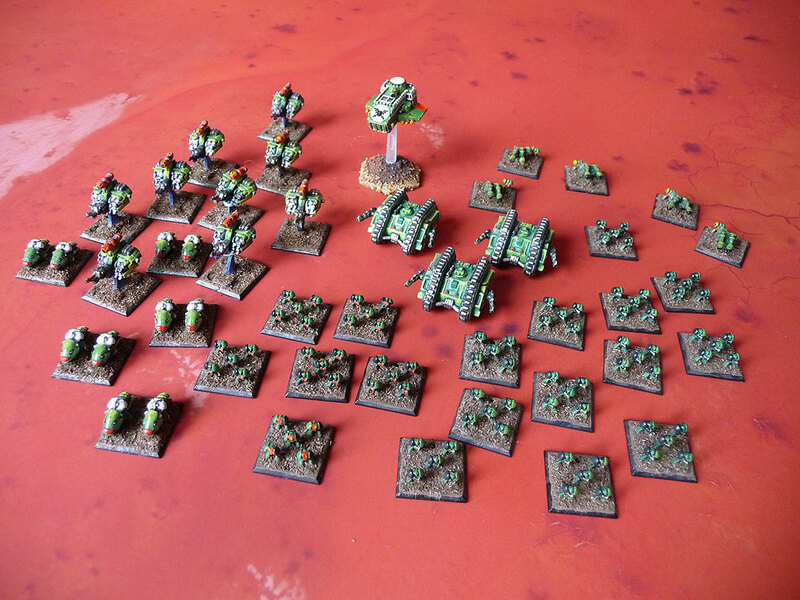 Here's some pics of my small Epic Dark Angels force. 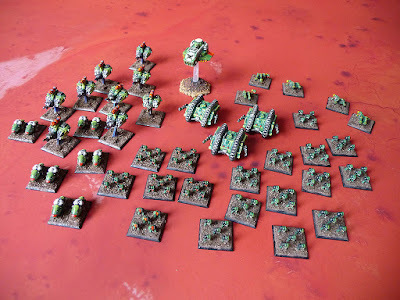 I had to have one seeing as I was fielding a Dark Angels 40 chapter but also you got extra choices with the likes of Ravenwing [before they went all Goth coloured]. 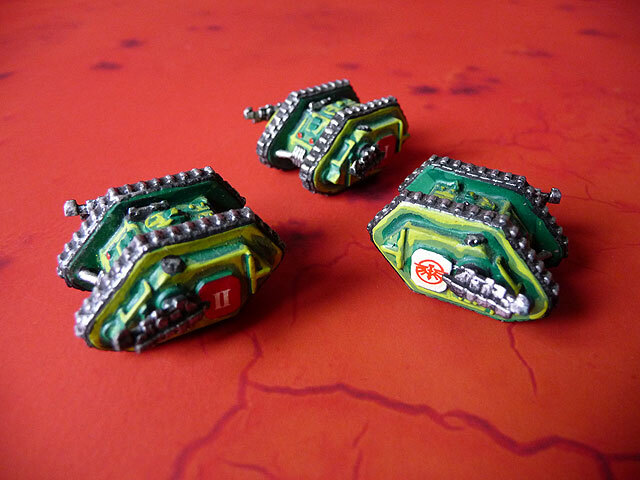 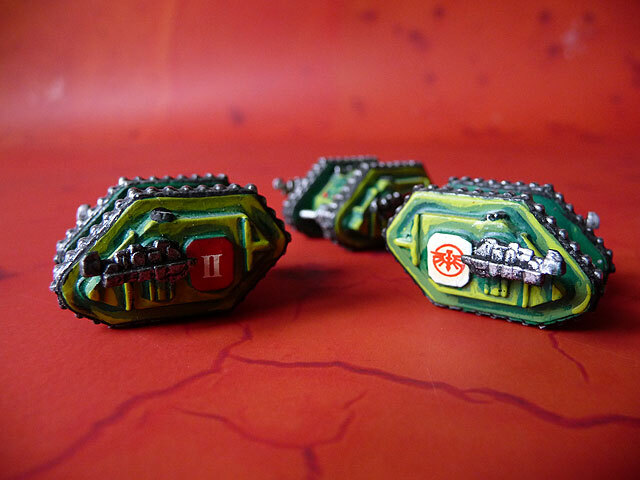 So there's 3 tactical squads, differentiated by bolter and back pack colours - gold, silver and red. 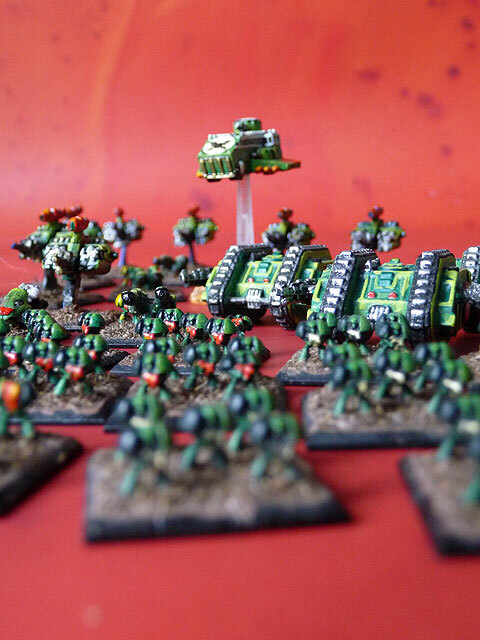 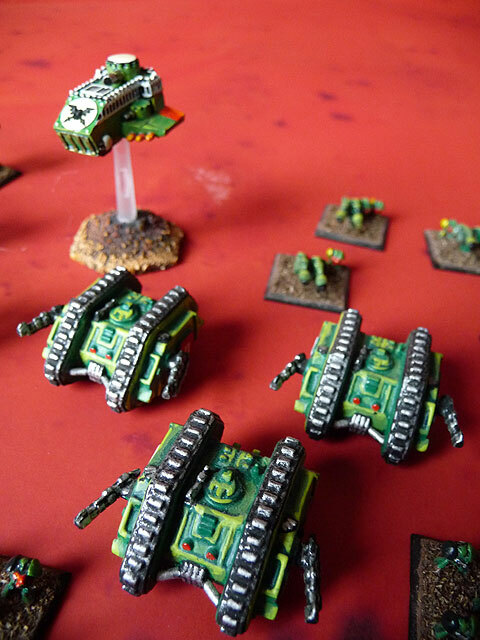 A Ravenwing attack force - Land Speeders and bikes. 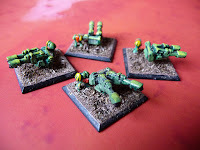 Three Lands Raiders, a Thunderhawk Gunship and continuing my love affair with Tarantula Sentry Guns - my own scratch builds made out of Imperial Guard las pistols and las rifle handles, enjoy!